Sony announces Xperia Z1 at IFA, makes Sammy and Apple look like fool! just before 1 and half hour of Samsung galaxy Note 3 announcement, Sony has just officially unveiled Sony Xperia Z1, the company’s latest flagship smartphone with an insane 20.7 megapixel camera sensor onboard. Measuring just 8.5mm in thickness, the Xperia Z1 houses a large 1/2.3" sensor – that's about 70% larger than the sensors on most phones and Sony achieved it without a hump on the back like most other handsets with large sensors. The camera uses all-Sony tech – an F/2.0 Sony G Lens, a Sony Exmor RS sensor and a Sony BIONZ image processor. Also inside the Sony Xperia Z1 is a 5-inch 1080p display and Qualcomm’s Snapdragon 800 processor. The device is completely waterproof. The new flagship has 4G LTE connectivity, along with Wi-Fi a/b/g/n and NFC, which are used to connect with the next couple of gadgets. 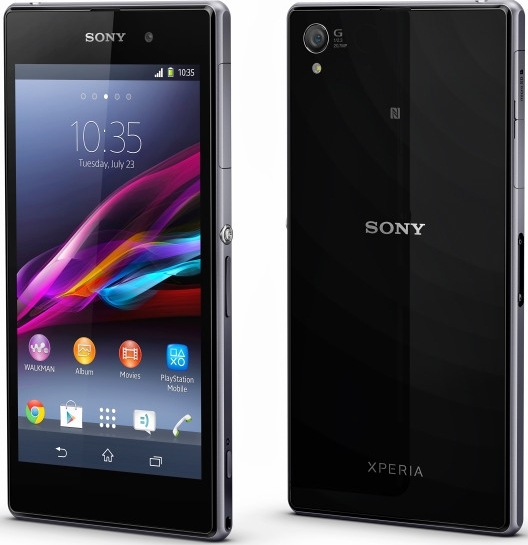 Set to launch this September, the Sony Xperia Z1 will run Android 4.2.2 with Sony’s custom software sitting on top. Most of the custom work has been put into the camera, with things like the “Info-Eye” feature that will feed you more information about whatever you’re viewing through your lens. Time Shift Burst mode will let you capture more than 60 images in just 2 seconds, something I’m sure stop-motion photography makers will love. The camera shoots 20.7MP stills and records 1080p video (sorry, no 4K). Sony has developed a custom camera app that offers manual controls and impressive augmented reality features. Third-party devs will be able to use the advanced features of the camera to make their own apps as well. Sony’s PlayMemories Online service will automatically upload your pictures to the cloud for you, with unlimited storage to make sure you’ll never have to “make room” for that new batch of vacation photos. You can also use a new feature that will allow you to share the video you’re recording with your family and friends in real time. The Sony Xperia Z1 will be available this month in Black, White and Purple. Sony didn’t have an exact date or price to share just yet, but we expect those details to come to light as soon as European retailers begin putting up listings for what is sure to be one hot item.